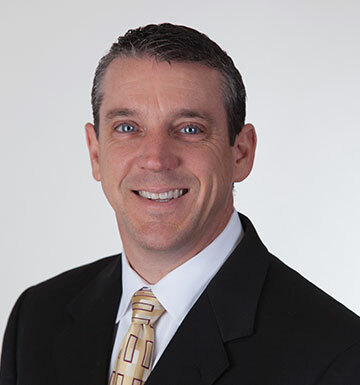 Kevin Mershimer is a Sales Executive for Horton’s Risk Advisory Solutions. In this role, Kevin is responsible for providing Horton clients with comprehensive, cost-effective and innovative solutions to meet their most complex, risk-related challenges. Prior to joining Horton, Kevin served as Regional Manager for Lumbermen’s Underwriting Alliance, where he spent the first 16 years of his career. As a result, Kevin brings extensive experience working with clients in the wood products and plastics operations industries. One of Kevin’s most memorable experiences working within the industry was using his deeper understanding of a property policy to help a client avoid a heavy coinsurance penalty, resulting in a fair and sufficient claim settlement. Kevin believes exceptional customer service is a diminishing art. Therefore, he is excited to be part of a team dedicated entirely to meeting the unique needs of Horton clients. “While I cannot control all aspects of the insurance process, I feel I need to be outstanding in the area I can control: client service,” said Kevin. Kevin attended Slippery Rock University in northwestern Pennsylvania where he earned a Bachelor of Science Degree in Safety and Environmental Management. Kevin’s hometown is Grove City, Pennsylvania. He currently lives in Indianapolis, Indiana with his wife and three children. In his time away from work, Kevin enjoys spending time with his family, playing golf and riding motorcycles. "After working with Frank Miller Lumber for over 18 years, Kevin Mershimer at The Horton Group continues to work diligently for us, as if we were a new client. He has become an extension of our staff and even uses the word "we" when talking about our organization. He is very responsive and has earned our respect and trust through insurance placement and proactive risk management. He keeps us informed of who is writing in our niche and stays active in our wood products associations. We hold Kevin in high regard and wholeheartedly recommend him as an informed/ professional Insurance agent. We are glad to have him on our side."